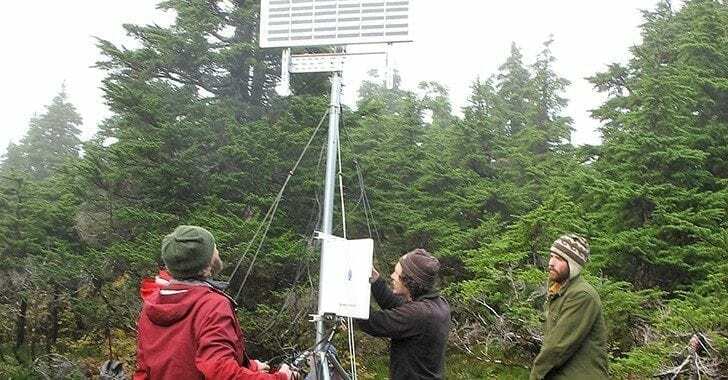 Thanks to a grant from the Chilkat Valley Community Foundation, an affiliate of the Alaska Community Foundation, Haines has a new weather station. The last Sunday in September a band of 10 hearty volunteers hiked up Mt. Ripinksky just out of Haines. 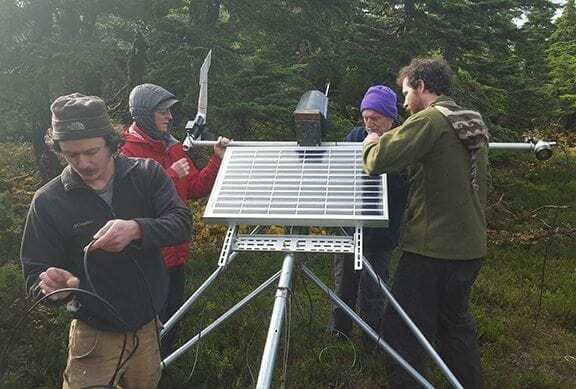 Their mission: to bring timely weather information for those who live and visit Haines and enjoy winter sports including skiing, boarding, snowshoeing, and riding snowmachines. 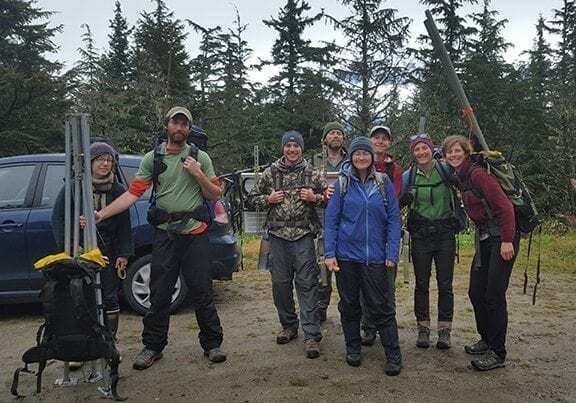 The group helped carry more than 200 pounds of equipment up the mountain for a new weather station made possible thanks to grants from the Chilkat Valley Community Foundation and the Rasmuson Foundation. Erik Stevens, the Haines Center Director, said the mission of the project was for the Haines Avalanche Information Center to build on its capabilities to serve the community by increasing the amount of snow and weather data it provides. 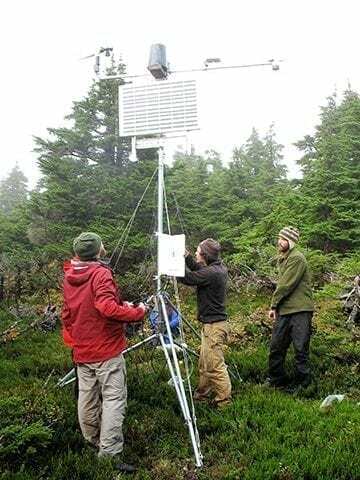 If you visit, live, work or travel in the mountains surrounding Haines, this weather station is expected to provide valuable information about weather and snow conditions beginning this winter at AlaskaSnow.org/haines. The AlaskaSnow.org website provides public access to snow forecasting, observations and education opportunities across the state. The network of forecast centers includes: Anchorage, Cordova, Eastern Alaska Range, Haines, Hatcher Pass and Valdez. In addition, you will find links to the Southeast Alaska Avalanche Center (SEAC), and Chugach National Forest Avalanche Information Center (CNFAIC), as well as the National Weather Service. Posted in AAIC News & Announcements, General News, Haines News.